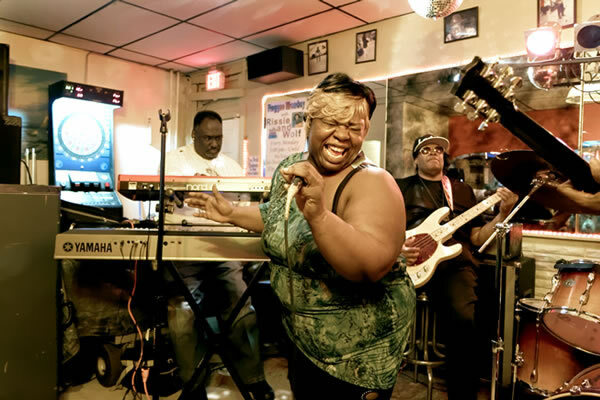 “I would sing for everyone, anytime and anywhere...” And Gwendolyn Williams’ name started to spread in Chicago, be it in the South Side club circuit, or on the North Side. “The girl with the big voice...” Mz. Peachez offers vibrant soul music, anchored in gospel, expanding in branches tinted with all shades of blues. Her scream is “a happy scream,” she says. “Because when I sing I exhale.” The audience loves her, asks for encores.